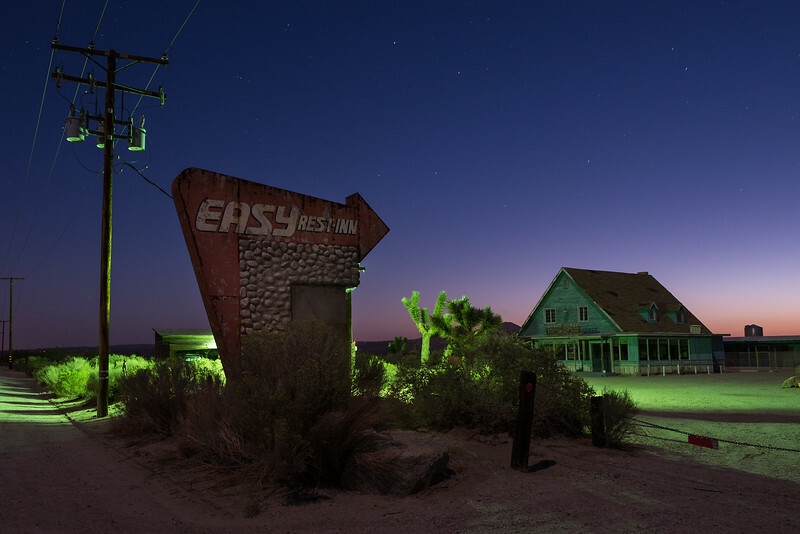 Movie location in the high desert of Lancaster, CA. Named Club Ed after the caretaker. Shot from the road as the buildings are on private property.